For those of you who love self colour analysis, we are now featuring DIY Colour Analysis Kits! Click a link above or scroll down this page to find out more! – All fabric kit orders received by 12pm ET on Thursdays are typically shipped on Fridays from Toronto, Canada. – A colour analysis consultation with an experienced and trained professional is always the best option. – This site does not respond to fabric product inquiries. All fabric product inquiries should be directed to service@imageinstitute.com. – This site and service@imageinstitute.com does not offer DIY colour analysis support. Please see our Image Consultant Training section on this site to find out about colour analysis training options. 1) Online Test Colour Strips Only tier ($17 USD): You literally will receive access to only the online colour strips. 2) Regular Full Acess tier ($42 USD): You will gain full access to all course material including instructions on how to properly prepare yourself and your environment for an online analysis, what colour strips to test with, what to look for etc. These online colour strips can be used in any picture creation and/or manipulation software package and are the same online colour strips Carol uses for her online colour analysis services. Click this link to view a listing of the colour strips that will be instantly available for download by joining either of the above tiers on the online course page. By joining the Regular Full Access tier on the online course page, you will also be guided on how to interpret your best colours with these online strips through step-by-step videos, commentary and a community. Please note: we do not provide any technical support for online colour strips for any of the tiers. If you do not have picture creation or manipulation software and/or do not know how to use picture creation or manipulation software, these strips are not for you. However, the Regular Full Access tier above on the online course page guides you on other options to use along with which colours to compare for each. Examples include the fabric tools below, fabrics from your closet, printed colour strips, paint chips from your local paint shop etc. 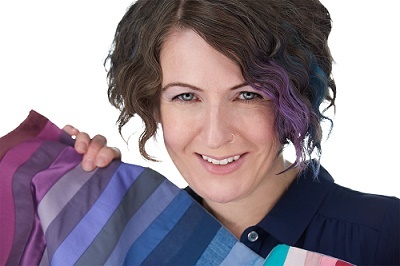 Carol Brailey has taken the shopping guesswork out for you by personally reviewing every item listing on this page and categorizing each into DIY Colour Analysis Fabric Kits to purchase from the International Image Institute’s Image Tool Shop. These are the same tools Carol uses to arrive at colour analysis results for her in-person clients. Please click on a link below or scroll down below to find out more about each of the kits. This DIY kit is for you if you would like to use colour analysis fabric tools to reveal whether you, your friends and/or family have a cool or warm skin undertone. This DIY kit is for you if you would like to use colour analysis fabric tools to reveal whether you, your friends and/or family have a cool, warm or neutral skin undertone. This DIY kit is for you if you would like to use colour analysis fabric tools to reveal whether you, your friends and/or family have a cool, warm or neutral skin undertone plus then move on to to reveal whether Winter, Summer, Spring or Autumn colours are most optimal. This DIY kit is for you if you would like to use colour analysis fabric tools to reveal whether you, your friends and/or family have a cool, warm or neutral skin undertone plus then move on to to reveal whether Winter, Summer, Spring or Autumn colours are most optimal plus reveal whether there is a mix of colour seasons / whether a person flows. Once you know your DIY colour analysis results, you may want to order a colour reference to take with you makeup, clothing and accessory shopping. Below are colour analysis reference options for you.